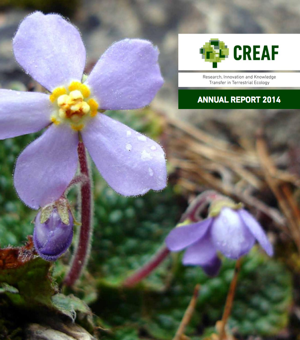 CREAF is a public research center dedicated to terrestrial ecology and territorial analysis, producing knowledge and methodologies for conservation, management, and adaptation of the environment to global change. The center’s objective is to work as a bridge between academia, administrations, and society, promoting awareness and exchanging knowledge within its scope of activities, at the local, regional, and global levels. Located at the campus of the Universitat Autònoma de Barcelona, the center was founded in 1987 as a consortium between various public administrations, research entities, and academic training entities. 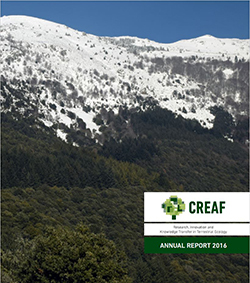 CREAF is a public research center dedicated to terrestrial ecology, territorial analysis and global change, pursuing excellence in the production and dissemination of knowledge, in addition to the innovation, development, and transfer of methodologies. Carry out excellent, innovative, and leading basic research so as to be considered as a reference at the national and international levels. Promote applied research, especially in the area of forestry, contributing to the sustainable management and conservation of resources and ecosystems. Disseminate scientific and technological knowledge by way of training, consulting, or educative activities. Carry out excellent research and development which contribute to knowledge about natural systems and which is applicable to improving conservation and management of the environment and territory. Achieve CREAF’s leadership at the national level and growing recognition at the international level. Position the CREAF as a center of reference for terrestrial ecology, territorial analysis, and global change in the Mediterranean basin. Expand synergies between scientific research and technological development to address the necessities of environmental management and land use planning within public administrations and the private sector. Lessen dependence on political dispositions, employing efficient management and an elevated capacity for obtaining resources and maintaining financial stability. Be constituted of personnel whom share the mission of the center and are active in achieving its vision, and having flexible organization favoring collaboration and the permeability of its research groups. Be more visible within the scientific community, administrations, and society in general in order to have more weight in debate and decision-making related to environmental issues. Exercise workplace values based on ethics, cooperation, equal opportunity, and environmental responsibility. 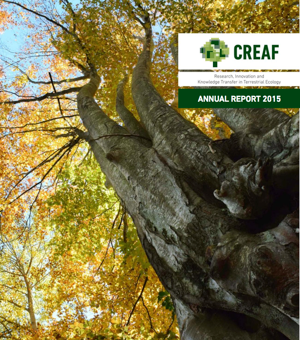 All of CREAF’s activities (financial position, institutional relations, research projects, scientific publications and dissemination, staff list, etc.) are compiled into the annual reports. CREAF was created in 1987 by the Universitat Autònoma de Barcelona, the Institut d'Estudis Catalans and the Generalitat de Catalunya, which subsequently also joined the University of Barcelona and, lastly, the Consejo Superior de Investigaciones Científicas. It is a center attached to the UAB as a university institute dedicated to research in the field of terrestrial ecology. On the occasion of the 25th anniversary of the CREAF, a series of short videoclips that summarized the history of the center and its most important milestones were produced. In order to see all this material and to know the history of CREAF, we invite you to visit our "timeline".